Acknowledging harms. Respect. Forgiveness. Opportunity. Those were just some of the ways that business students from across British Columbia defined reconciliation in a video that was screened during a ‘Reconciliation as a Call to Action’ panel at the Port Theatre in Snuneymuxw territory on Jan. 4. The event was hosted as part of the MBA (Masters of Business Administration) Games, a yearly event that includes both competitive and educational components. 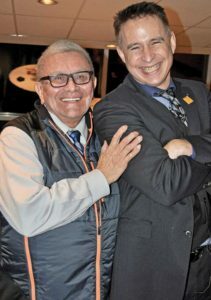 Reconciliation Canada ambassador Robert Joseph, a residential school survivor and hereditary chief of Gwawaenuk First Nation, told the group of hundreds of students to hold on to the idea that they can make a difference. Joseph said he believes that now is a “pivotal moment” in Canadian history. “The distance between us is so huge, so hurtful, so chaotic,” he said. Meanwhile, Nanaimo-Ladysmith NDP Member of Parliament Sheila Malcolmson talked about reconciliation on a more local level. She told the story of how beloved former Snuneymuxw chief Viola Wyse changed Nanaimo for the better. The MP said that more than a decade ago, Nanaimo was an “astonishingly racist” place and described a huge divide between Indigenous and non-Indigenous people. But when Wyse was elected in 2006, Malcolmson said, the chief worked hard to build relationships between her nation and the outside community. When Wyse passed away suddenly in 2009, the impact of her work could be seen in full force,” Malcolmson said. 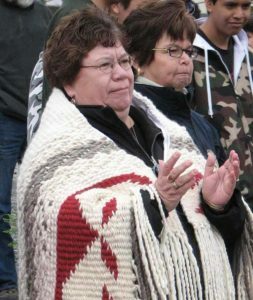 “Nanaimo, which I’ll say had been a really rough, really racist town, came out for her funeral,” she said. “Leaders came from across the country. Chief Joseph added that it’s a tribute to Indigenous peoples’ spirits that communities across Canada are so strong today. “Imagine all the people who have come here since the beginning of colonization, and the Aboriginal people of this country are still walking,” he said. Robert Joseph and Paul Lacerte. We live in exciting times of opportunity to not only make things right for those things that went wrong, but to create a new way forward together. We envision together a future that embraces inclusion and equality, peace and harmony and living out the values and principles that we already espouse. This means that reconciliation is not just for Indigenous people, but for all Canadians. Conversely, it is not just for non-Indigenous people. The honest truth is that we need each other if we are ever going to discover our common humanity. Sustaining reconciliation is prompted through deep dialogue, heightened understanding and transformed relationships. We are in this together and we should all be engaged in the process of reconciliation. The will in this country to do so is strong. Chief Dr. Robert Joseph is a hereditary chief of the Gwawaenuk First Nation and is currently the ambassador for Reconciliation Canada and a member of the National Assembly of First Nations Elders Council. 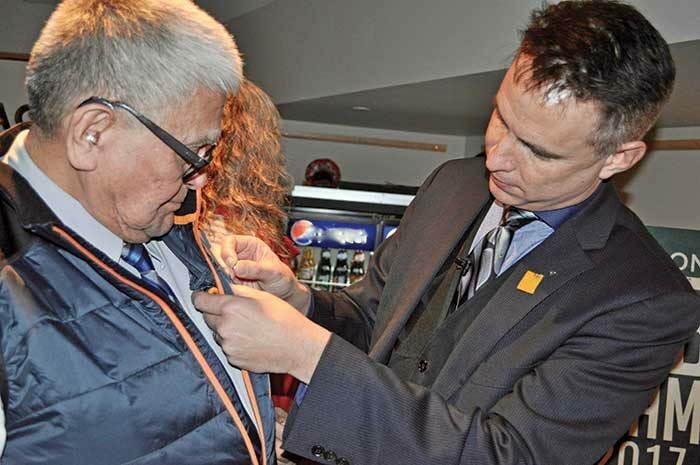 Chief Dan George exhibit in new North Vancouver museum?